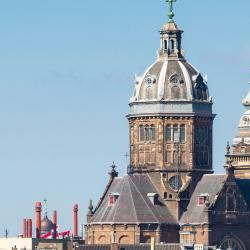 Looking for hotels near Amsterdam Central Station? Located in the famous historic canal belt, The Old Lady offers two spacious apartments, a flat-screen TV and private bathroom. Amsterdam Central Station is just 1476 feet away. The Highland House is a boutique hotel with luxurious and intimate atmosphere located in Amsterdam, 656 feet from beurs van Berlage. De Jordaan and the Anne Frank House are just around the corner. The Renaissance Amsterdam Hotel has a central location near Amsterdam Central Train Station, a 10-minute walk from Dam Square. Great hotel, great staff, great location. Can't fault it. With stylish, clean accommodations in the heart of Amsterdam, the Frisco Inn offers a tasteful setting for your city break at a competitive price. The staff was super friendly, beds comfortable and the room was extra tidy. The location is superb! Just a 5-minute walk from Amsterdam Central Station, this hotel is set in a monumental building. It offers rooms with double glazing and light-proof curtains. Free WiFi is available. Great location! Wonderful interior design! Pleasant staff and good breakfast! 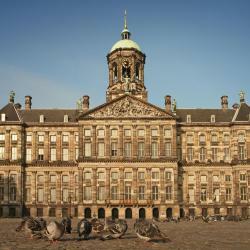 Hotel Prins Hendrik is located in a characteristic Dutch city house, across the street from Amsterdam central station. It offers convenient accommodations and a free breakfast every morning. The staff was really friendly, excellent location and very clean. Right next to the Koepelkerk, this quiet hotel is set in 3 renovated 17th-century houses on the Singel Canal. Amsterdam Central Station is 656 feet away. The bacon was just the way Í like it crispy. The staf very nice and Help fúl. 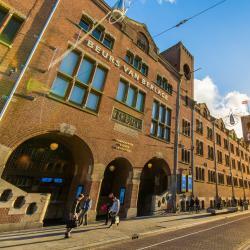 Hotels with great access to Amsterdam Central Station! Located at the beginning of the Canal Belt, part of the UNESCO World Heritage Site, Multatuli Hotel offers air-conditioned rooms with cable TV in a classic Amsterdam townhouse opposite the Central... Location...location...lication!! Koopermoolen is a 2-star hotel only a 5-minute walk from Amsterdam Central Railway Station. It benefits from a 24-hour reception and offers free WiFi throughout the entire property. The location was great. Breakfast was very good. Had to get in early to get the eggs! 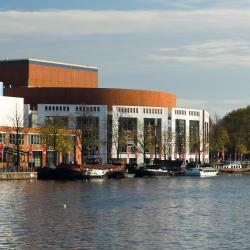 De Mallemoolen offers budget accommodations in a monumental building, a 5-minute walk from Amsterdam Central Station. The hotel rooms are basic in style and have a sink and TV. Convenient and te rooms are good enough for what u need in Amsterdam! Good value for money. Continental Centre Hotel is situated in historical center of Amsterdam, a 5-minute walk away from Amsterdam Central Station. Everything was close by, walking distance from the central station, old town and restaurants. People are talking about Amsterdam Central Station! Explore guest hotel reviews featuring "Amsterdam Central Station"
A very nice and comfortable studio apartment with a waterfront, located in a wonderful neighborhood. 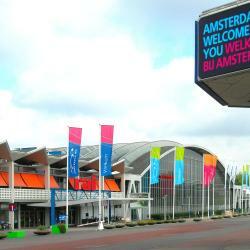 A tram stop is very nearby and with tram 26 one can reach Amsterdam Central station in approx. 13-15 mins, without exaggeration there is a tram every 5 mins so very good connectivity to old city center. Apartment is very clean, cosy and comfortable. The host family is very nice and accommodating. In summary I loved and thoroughly enjoyed my stay there. I needed to stay in Amsterdam for one night as I had an early flight out of Schiphol but still wanted to enjoy the city. This hotel was perfect for that. 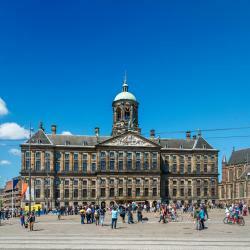 It was a less than 5 minutes away from both Amsterdam Central station and Dam square. The room itself was a bit small compared to the average hotel however I was not expecting the Ritz Carlton so I was ok with it. The hotel is located about less than 10 minutes walk from the Amsterdam Central Station which is very convenient to go anywhere from there. We got the room which has lots of handbags on the walls, which was located on top of the New York Pizza. The noise was not to bad considering we are facing the main road. Perfect for Adventurers, Groups of Friends & Solo travellers. Very competitive price thanks to the ease of access to Amenities, stores & Amsterdam Central Station. Great location close to Amsterdam Central station. Good value for money and they work with you if you have any issues to resolve. The bar was a nice touch. Location was good, only 3 metro stops from Amsterdam central station.